Description: How you noticed how winter draws? How unique shapes are formed when ice freezes? And as the snow falls, a "white paper" is created, on which natural and human interaction lead to drawings, paintings. 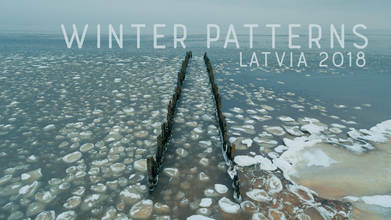 Winter is leaving Latvia, but this year it has been a very talented artist. Here is our compilation of winter-made art works of 2018!. See you next time, dear winter!